Packages | Dj Packages for any event! This is perfect for most events and for groups up to 300 people. Package One includes more than 25,000 songs, a great sound system, and optional light show and fog machine. 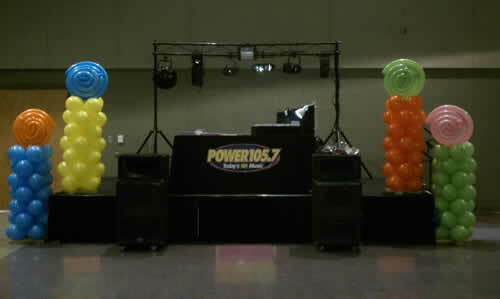 It also includes one of our professional and experienced D.J. 's who will play your requests. This is also our economy package and will fit nicely with your budget. Prices are very reasonable, and by the hour. Please contact us for a quote. Recommended for groups over 300 people and for very big rooms. This is a more powerful bi-amped system with 4 speakers instead of 2, and includes two 18-inch subs. Package 2 includes more than 25,000 songs and a bigger, optional light show and fog machine. The light show includes lasers and a lot of other nice effects with at least 11 lights included. Our entertainers are all very fun and experienced and we always play your requests. This is not a big price for a whole night of entertainment. We don't want to charge you for time that you don't want or need. All prices are reasonable and by the hour. Please call us for a quote. We do many events for groups of 500 people or more. 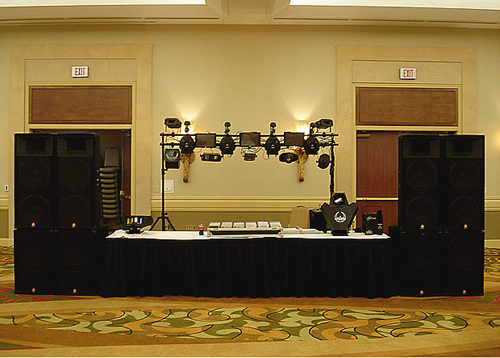 Package 3 will work great in large rooms and will accommodate groups of up to 3000 people. This is a bi-amped system with a lot of power, 8 speakers (including 4 18-inch subs). The light show is superb, with lots of lasers, intelligent lights, strobes, hazer, and other effects. There are at least 17 lights included. Mike Chase is guaranteed to be your DJ He does play your requests and brings his library of more than 25,000 songs to every event. This system is our pride and joy. This is what you need when you want to go first class. 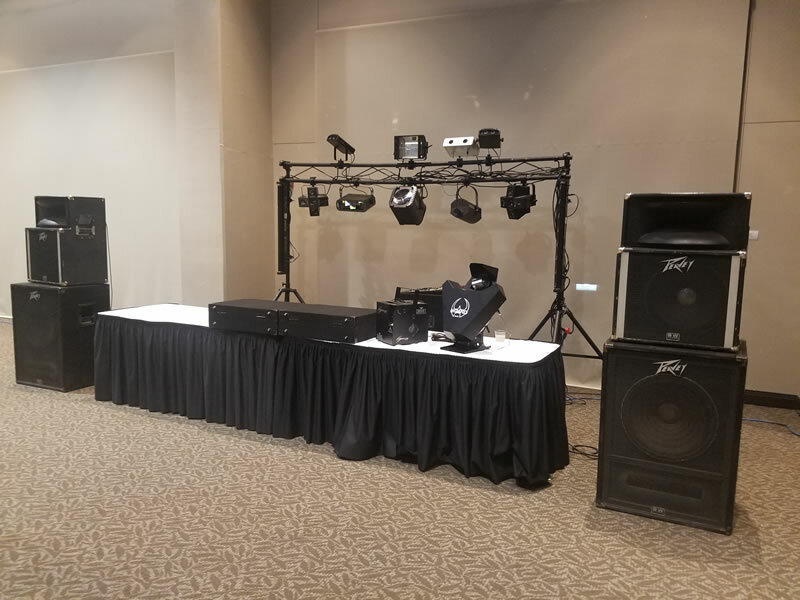 It is very popular at corporate events, at the University of Arkansas, and at all of the biggest high schools in the area. Pricing is by the hour. Please contact us for a quote.